Ashley is experienced in both residential and commercial property transactions. Ashley is part of the commercial property team and is supervised by Helen Brewer. Ashley read law at the University of the West of England. 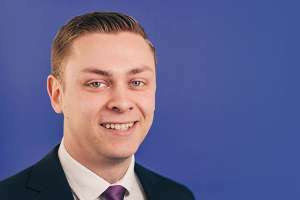 After obtaining his degree, he started his legal career as a paralegal with Lindleys in 2013 before commencing his training to become a solicitor with Star Legal in 2016. Ashley qualified as a solicitor in July 2017.